He was arrested by members of government forces (the army, security forces, local and foreign militias). SNHR indicate that the detainee Suhaib Al Zo’ubi was arrested along with his brother, the university professor Zaidoun Al Zo’ubi, and his father, a former member of parliament. The citizen has Syrian nationality. No Arab or international human rights organization pointed out his case, or any action were taken towards it. 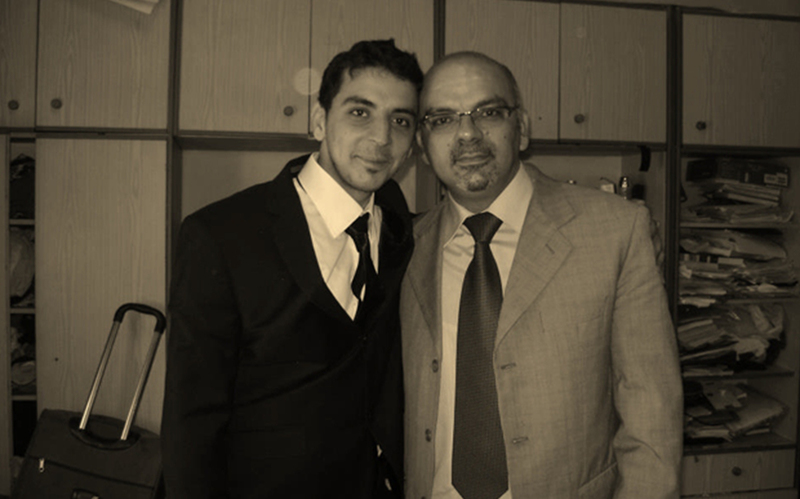 The detainee Suhaib Al Zo’ubi standing on the left side of image, and his brother the citizen Zaidoun Al Zo’ubi on the right side. SNHR hold the Syrian government fully responsibility of the citizen Suhaib’ life, and demand the International Community to accelerate revealing the fate of thousands of detainees that lose their lives daily and subject to systematic torture within a regime which is not bound by the bare minimum of humanitarian or moral standards of detainees and amid the international and humanitarian absence to hold legal responsibility towards what happen to detainees in the Syrian regime dark prisons and basements.